Grow Giant has all the hydroponics supplies you will ever need for your indoor or outdoor gardening experience. We make it easy by stocking all the top brands for your essential hydroponic supplies. Whether it be timers, cords, scissors, trellis netting, ties, stakes, measuring cups, drippers or spray misters, we have it all! 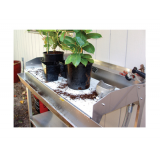 Big Jakes Garden Table is the ultimate product for the serious gardener. This rust proof aluminum .. 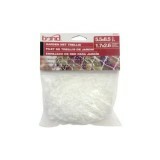 Ideal for guiding growing plants. 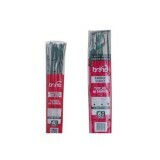 Use garden net trellis to support vine flower and vegetable plant..
Come in retail friendly pre-packaged bundles. Dyed green to blend in with the plants. 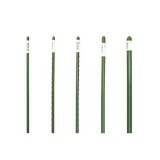 Bamboo stakes.. 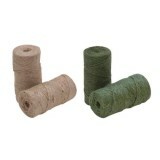 This garden twine in green or natural is a roll of 200' of 2-ply soft garden twine. 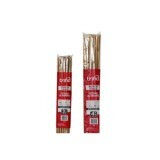 Jute Twine is m..
Bamboo stakes are all natural, strong, lightweight, inexpensive, weather well and last several seas..
Green plastic coated plant stakes with a steel core. 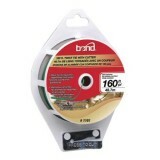 Rustproof with water tight closures on both en..
Comes on a spool with a built-in cutter. 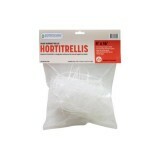 Twist tie is ideal for tying up plants, vegetables and vin..
Hortitrellis is a professional plant support trellis for horizontal or vertical applications. It's .. 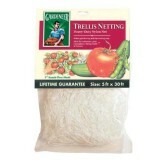 Heavy-duty nylon netting is ideal for growing tomatoes, peas and all vine crops. 7 reach through me..